Believe it or not, but every single bird from our One In A Million Bird series grows into a unique shape and character; ensuring that only one like yours will exist, ever. For each bird that we make, a software algorithm creates a new combination of posture and body type. This combination is sent to a 3d-printer, which transforms polyamide powder into a beautiful, durable, personal piece of jewelry. 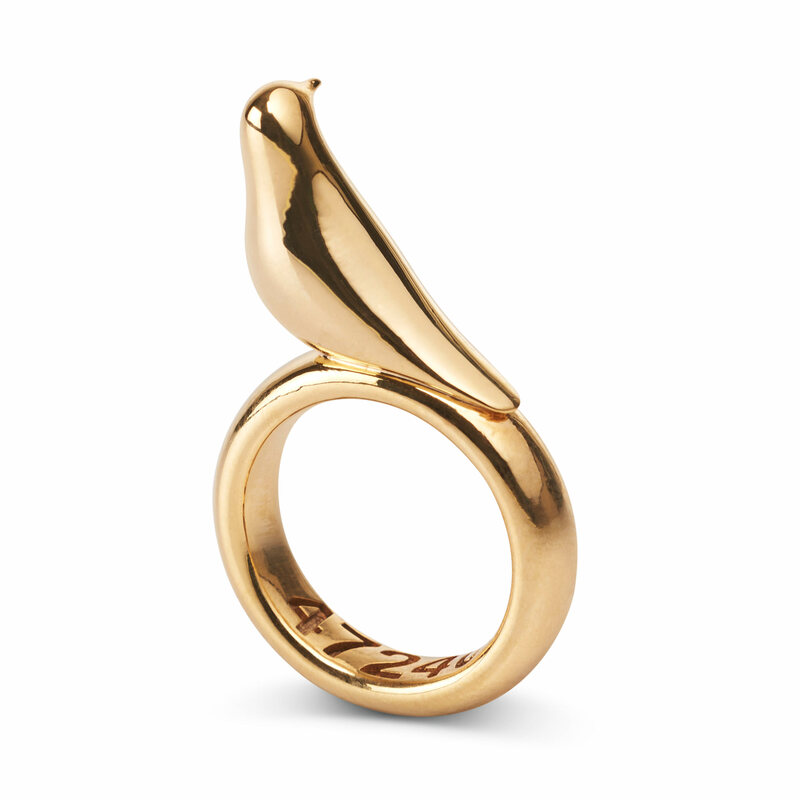 Each ring contains a unique number representing which bird, out of a million possible combinations, is yours. Our One In A Million Birds are based on the successful Happy Bird and Merry Bird jewelry series, so the one thing they have in common… is that they’re all very cute. These rings are sold in design stores around the world, including The Tate Modern in London.